Winter 2013 is officially over. On November 5, 2013 I departed the South Pole aboard an LC-130 Herc all but empty with just a handful of DVs (distinguished visitors) flying out after a tour of Pole and two of us winterovers with our baggage. The flight crew was very friendly and while most of the pax slept I went up to the cockpit and chatted with the pilots as we flew over the nunataks and exposed rocky peaks of the Transantarctic Mountains. “So, you wintered this year? Like, just now?” “Um, yeah. I’m on my way out, these are the first rocks I’ve seen since February!” “Wow…what was it like?” Where could I even begin? “Dark and cold.” I said and everyone laughed. How can I describe winter? How can I sum it up into one clear and concise sentence? How can I explain the feeling of seeing that last plane leave? Of seeing the glorious, impossibly bright, life giving orb that is the sun sink below the horizon and know that I will not see it again for half a year? How do I convey the thrill of watching the mercury plummet getting closer and closer to the mythical threshold of -100F, and then the excitement when it actually reaches that number? How can I explain the cold? The breathtaking, teeth-aching cold that makes plastic shatter and even metal become alarmingly brittle. A depth of cold that seeps in through the holes in the stitching at your seams and weighs your eyelashes with ice and frost? And how can I explain the weariness? The exhaustion that no amount of sleep can alleviate, the energy expelled by living at 10,000ft and wearing 20lbs of clothes and burning calories just to maintain regular body temperature…How can I explain Toast, not just feeling burn out, but the sluggishness of thought and lapses of memory? And where do I begin on how we tormented and grated on each other? Small things like someone laughing too loudly, or big things like someone deciding the only way they’ll be happy is when ever one else is unhappy… but on the flip side, how can I explain the intensity of bonds that form in the face of that adversary? The biggest challenge of winter isn’t the cold or the darkness, the isolation or physical demands, it’s the people, hands down. I had a day in McMurdo. I had friends who met up with me, who walked with me through the overwhelming galley and sat with me at a table against the wall. It’s hard to be surrounded by strangers after knowing everyone by their walk/stance alone. A day in McMurdo, the halfway house, is good. I didn’t have to jump right into finding transportation and accommodation and paying for food…Once in Christchurch the first night is covered, but after that you’re on your own, and many flights get in late. On Wednesday November 6, I arrived in Christchurch, New Zealand. This is perhaps the most perfect country to return to after wintering. It’s beautiful and friendly. 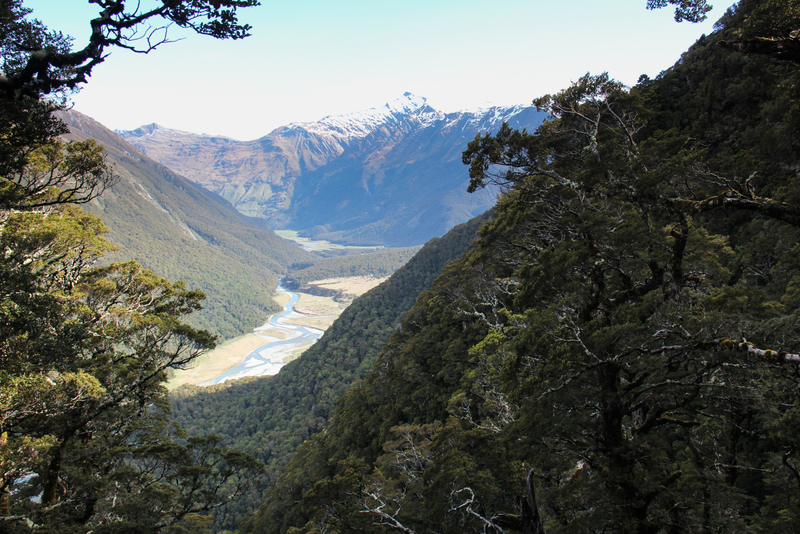 There are epic valleys and huge expanses of wilderness to get lost in. There are magnificent birds and plants and no snakes and no poisonous animals (except for one sole native spider only found in the most remote regions). There are no lions or tigers or bears…no large mammals of any kind to be exact, except for some cows and lots and lots of sheep. New Zealand is temperate, and right now in late November it is just at the beginning of summer. 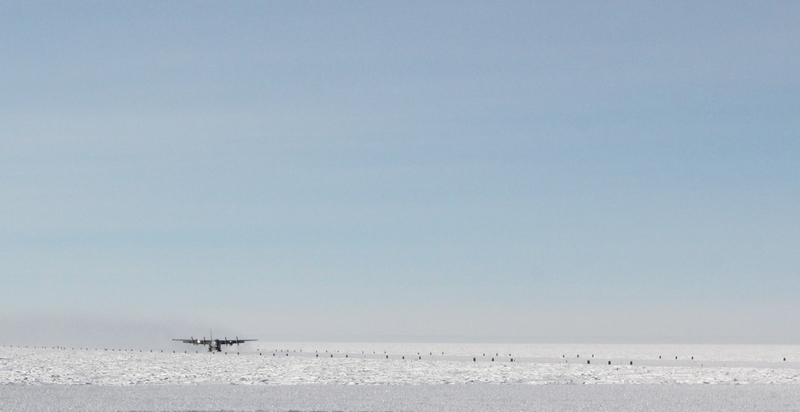 Winter at the South Pole with it’s -130F windchill and flat white horizon seems like a dream a long time ago and far far away. I limit this blog to my exploits in the Arctic and Antarctic. For now, I will be taking a break to explore the world and indulge in all that my senses have lacked. I will resume posting here upon my next high latitude adventure, which will probably be sooner rather than later. Thanks for following and for all your questions and comments this season! The first Herc – officially ending Winter. It’s with mixed feelings that we transition to summer. There’s a part of me that thinks “That’s my table! My chair!” frustrated at the line for food in the galley. I would be lying if I didn’t acknowledge a new sense of camaraderie between my fellow winterovers. It’s hard to describe. Hard to answer the question “How was winter?” It’s almost sad to know that it’s over now, like finishing an engrossing novel…not necessarily good or bad, just all consuming. Now, the station feels crowded, a bit like my place is gone. It’s somewhat disconcerting to not recognize everyone’s walk and laugh. Not to know without a doubt who’s hat you glimpsed as they went around a corner. Not to know who it is just by the sound of their footsteps in the hall. But there’s also an almost tangible sense of relief. People laughing and smiling. We won’t be here forever, it’s alright if we’re tired, help has arrived. It’s good to see familiar happy faces, their enthusiasm and opptimism rubbing off just a little on our jaded selves. They’re just starting, all tan and rested and raring to go. Well, I’m happy to turn things over to them. And I know Cheech (Christchurch, NZ) is waiting, with it’s bright green grass and decadent flowers, it’s salty ocean breeze and cool wet sand, it’s fresh food and no reason to get up early except to watch the sun rise.